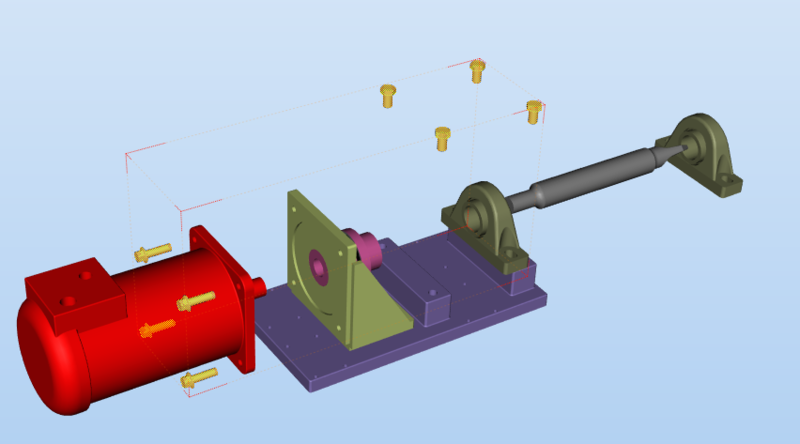 SOLIDWORKS Composer Explode lines indicate the path from the assembled position or the neutral position of an actor to it’s exploded position. These paths can be associative or non-associative paths. Associative paths are the paths that update when the geometric actors are moved after explode lines are created. Non-Associate paths are the paths that do not update when geometric actors are moved after explode lines are created. Select the exploded components in one shot using the select tool on Home Tab. In my case, I want to select the 8 screws that I exploded using select tool. Click on Select > Select by color or select instances > and click on any one screw. Now all the 8 screws will be selected. 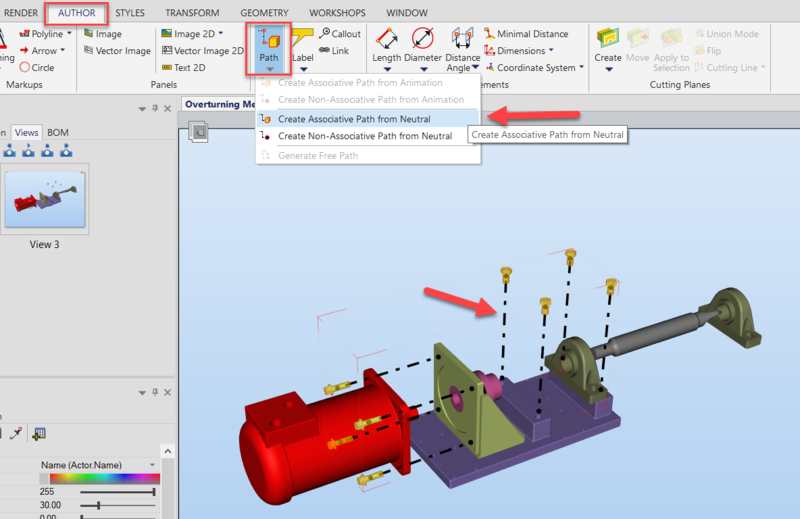 While the geometric actors are selected go to Author Tab > Path Tab > Click on drop down arrow of path tool > Create associative path from neutral. If the geometric actors aren’t selecting before using path tool, associative and non associate path from neutral position will be grayed out. Select all the associative paths. 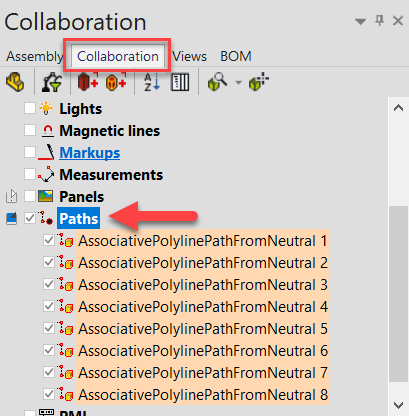 You can select them all in one shot through Collaborative tab in left pane > Paths folder > click on paths folder. Doing so, all the paths will be selected. Now update the properties in the properties pane such as color and width can be changed in front line section. Also clear the checkbox for Stay on top property in General Tab which will allow the paths to stay below the geometric actor instead of passing from top of the geometric actor. Refer to the images below for before and after images. To learn more attend our SOLIDWORKS Composer Essentials Training Course either in a classroom near you or live online. Vip is a Certified SOLIDWORKS Professional (CSWP) and is based in our Oakville Ontario head office.